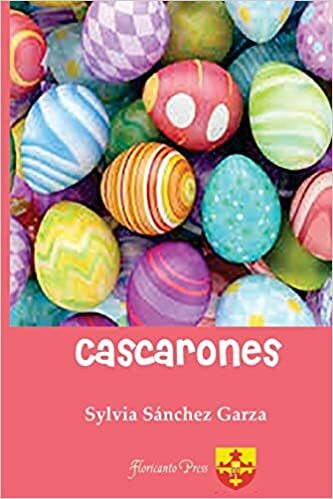 Cascarones by Sylvia Sánchez Garza is a book that feels more like a conversation between friends. Garza follows the life of a Mexican American girl living in Texas and straddling the world of her culturally rich family and a whitewashed school she winds up going to in Houston. This isn’t the only aspect of her life that Garza delves into. She also explores the girl’s relationship with family members, her church, family traditions, and general everyday life. The book is a nice collection of individual stories about the same family with the same cast of characters. This was a nice, easy read. It is simple without being boring. The individual stories make nice bite-size sections. This made it a fun, leisurely read. The book feels light. It doesn’t have that heavy, daunting feeling that some books do. As previously stated, the book feels like a conversation. It feels like sitting and listening to someone reminisce about their childhood. I prefer first-person writing as a rule, and this book delivers. It makes it feel so much more personal and relatable. Readers will identify with pieces of Suzy’s stories and may see themselves in her experiences. Reading this book felt like getting to know a new friend. I feel like I got to know the characters better through each story. Each story gave a better feel for the family. Even with short stories that could stand alone, the characters were well developed. It also gave a lot of insight into the culture of Mexican American families. It showed their strength and pride in their clinging to their traditions. There were quite a bit of Spanish words and dialogue in the book. I know very little Spanish and looked up a few words, but the vast majority of the meaning comes out in the context. My only complaint is that I might have liked the stories better in a different order. I think I would have liked them to be in chronological order rather than jumping back and forth in time. It threw me the first time I realized Suzy was speaking as an adult. It took me a second to understand what was happening since it jumped from her being a kid to having kids, and back to a kid again. I lost my bearings a little but recovered quickly. Cascarones by Sylvia Sánchez Garza is very well-written. There are very few errors, if any. It had a nice pace and flow. I liked following Suzy navigate between two worlds as she is pulled between her large Mexican family and living in America. It taught me a lot about the Mexican American culture that I didn’t know. I’d like to read more by Garza. Posted on February 11, 2019, in Book Reviews, Five Stars and tagged alibris, american, author, author life, authors, barnes and noble, book, book club, book geek, book lover, bookaholic, bookbaby, bookblogger, bookbub, bookhaul, bookhub, bookish, bookreads, books of instagram, booksbooksbooks, bookshelf, bookstagram, bookstagramer, bookwitty, bookworks, bookworm, Cascarones, church, culture, ebook, family, fantasy, fiction, goodreads, heritage, hispanic, houston, ilovebooks, indiebooks, kindle, kobo, latin, latino, literature, mexican, nook, novel, publishing, read, reader, reading, school, shelfari, smashwords, spanish, story, Sylvia Sanchez Garza, texas, writer, writer community, writing, YA, young adult. Bookmark the permalink. Leave a comment.